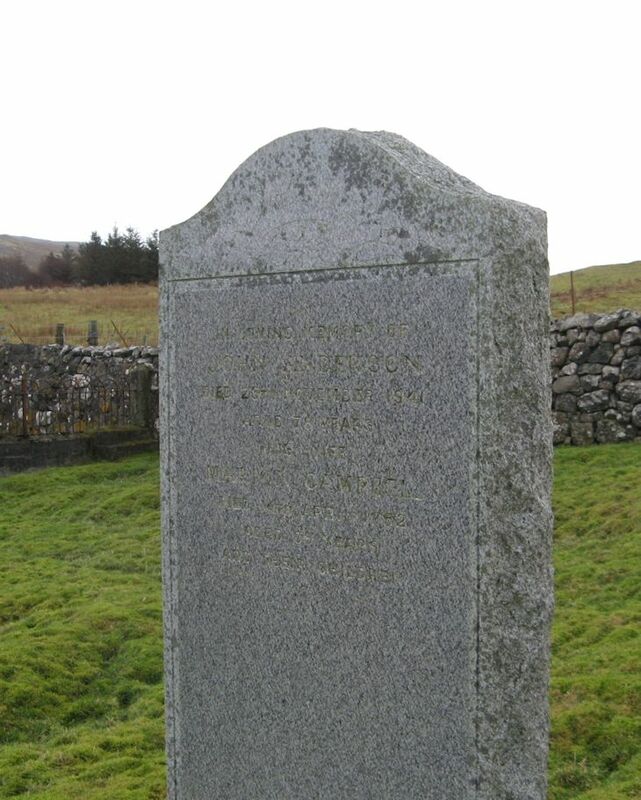 Skye Gravestones | John & Marion (Campbell) Anderson. John & Marion (Campbell) Anderson. In loving memory of/JOHN ANDERSON/died 25th November 1941/aged 76 years/his wife/MARION CAMPBELL/died 14th April 1952/aged 85 years/and their children. Added by Patricia Christine Slade on 03 March 2019.